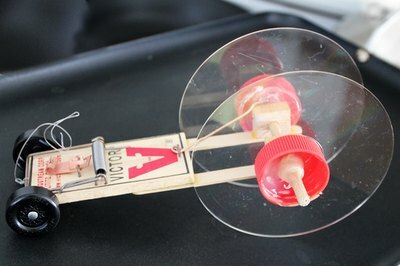 Making a mousetrap car is a fun way to experiment with materials around the house while learning about physics. 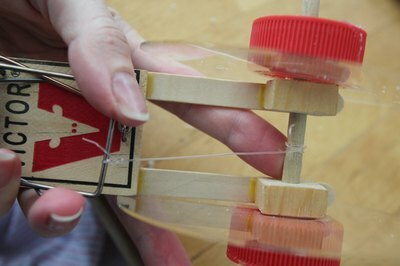 Use a nail to press a hole in each side of the mousetrap. (These holes act as guides and help keep the wood from splitting.) 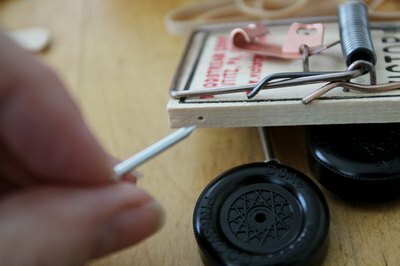 Nail the toy wheels to the sides of the mousetrap at the front of the trap. Leave a little space between the trap and the wheel when you hammer in the nail, so the wheels can rotate freely. Draw two Xs on the 1-inch wood blocks, using a pencil and straight edge. 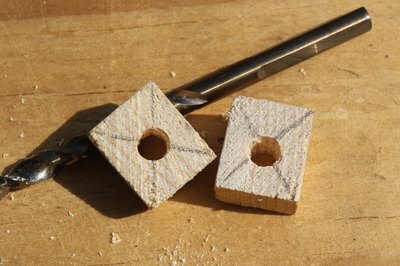 At the intersection of each X, drill a hole slightly larger than the wood dowel. 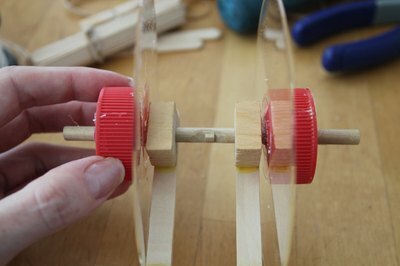 Glue two Popsicle sticks to the bottom of the mousetrap, aligned with the sides of the mousetrap and extending from the end opposite the wheels. Glue the wood blocks on top of the Popsicle sticks. Hold the Popsicle sticks in place while they dry, using either clamps or clothespins. Allow the glue to cure completely (about 6 hours). 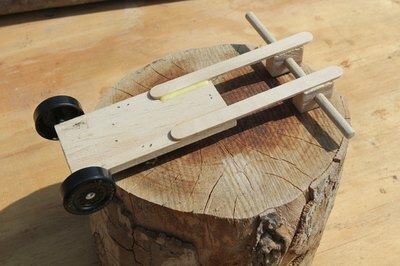 Cut a length of wood dowel about 3 inches longer than the width of the mousetrap. 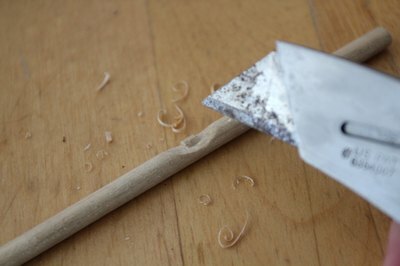 Carve a small notch in the center of the dowel. Slide the wood dowel through the holes in the wood blocks. 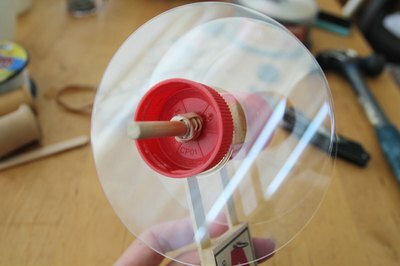 Drill a hole in the center of the milk jug lids, then slip the CD toppers and milk jug lids onto the dowel. 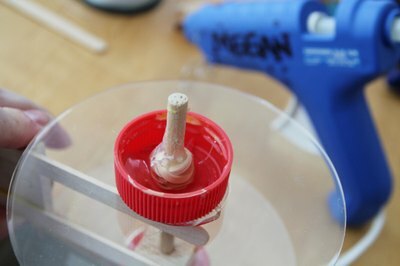 Wrap rubber bands around the dowels to secure the assembly. Check to make sure both wheels spin freely. Pry away any stray glue, if necessary. Cut a piece of fishing line about 6 inches long and tie one end to the metal bar of the mousetrap. Pull the trap bar back toward the back wheels, and wrap the fishing line around the center of the axle and the notch. Gently place the car on a hardwood or linoleum floor, and release your hand from the trap. The car should propel forward and roll for several feet.